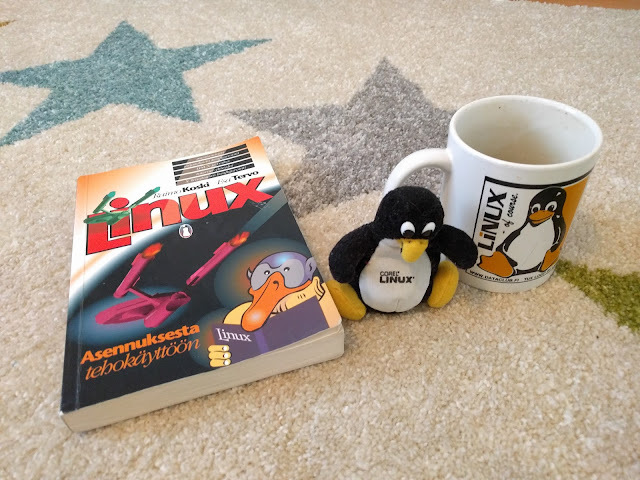 Since I've now been using Linux for 20 years, I've dug up some artifacts from the early journey. First the book, from late 1995. This from before Tux, so the penguin in the cover is just a co-incidence. The book came with a slackware 3.0 CD, which was my entrance to Linux. I'm sure that most of my readers know that kirjoittaa is to write.